What do you do when you find your favorite naan shop closed on a Sunday morning? You make your own naans! The idea may seem daunting at first but I hope by now I’ve got you well acquainted with handling all sorts of dough. 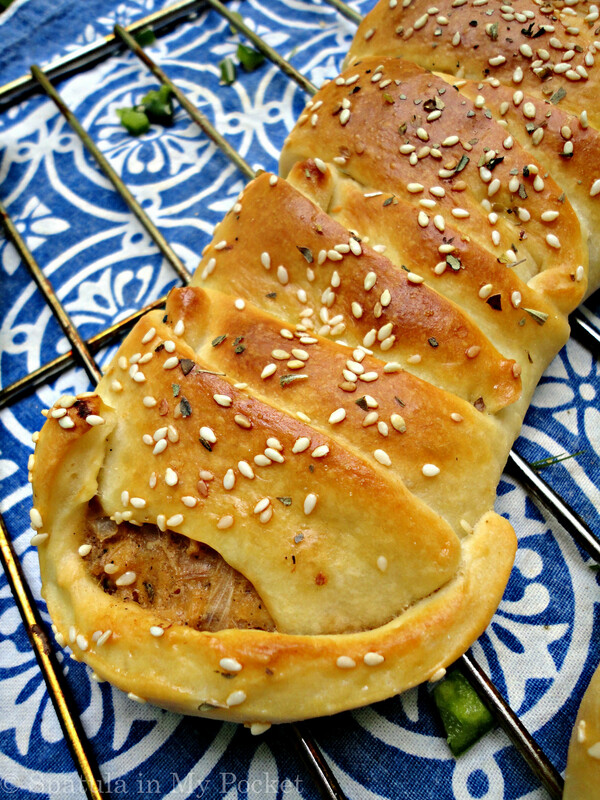 Be it: my foolproof recipe for pizza dough used to make not just this beautiful braided chicken bread but also these cute little mini pizza pies. Or this super easy and frugal recipe for flour tortillas which makes these BBQ taquitos all the more delicious. 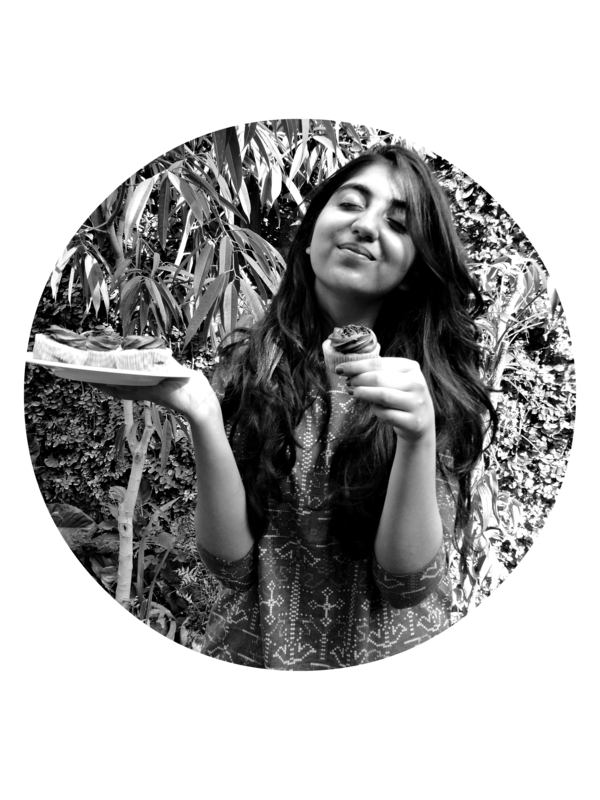 And how can we forget, my all-time favorite, the soft puffy puri…O’so good! Homemade garlic naans are much easier than you think and irresistibly delicious! It’s the same foolproof pizza dough with certain key changes that makes it all the more yummy and garlicky. The dough is incredibly forgiving. If it’s too dry, add more water. If it’s too wet, add more flour. A soft dough is what you want in the end. Softer the dough; softer and pillowy the naans are. I cooked half of the naans on a grill pan, and the other half on a plain non-stick pan. It doesn’t matter whether or not you own a grill pan. Both result in gorgeous looking naans, and they taste just the same! Cook for a minute or until you see bubbles starting to form. Flip and cook for 1-2 minutes on the other side until large toasted spots appear on the underside. Brush with butter mixed with chopped coriander. Place the naan in a kitchen towel and repeat with the rest of the naans. 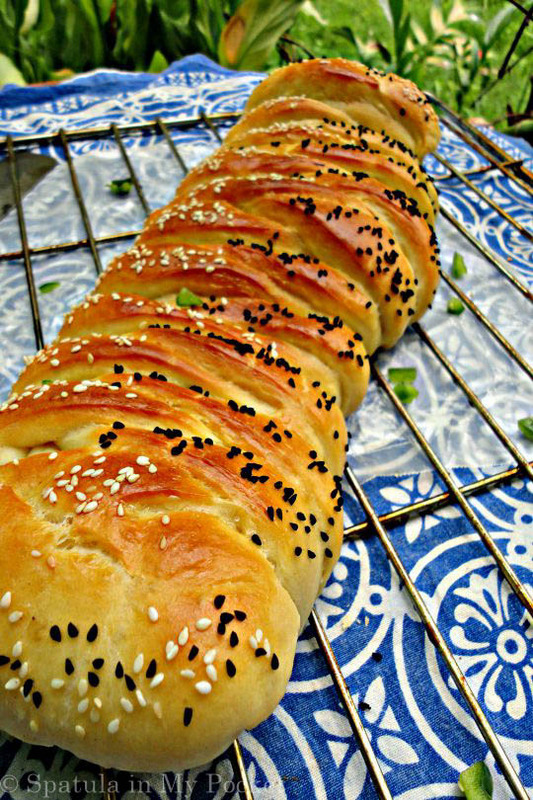 Then serve warm, sprinkled with some fresh coriander or sesame seeds. And get ready, because these garlic naans will blow your mind! Buttery and garlicky, these naan are incredibly soft with all those giant air pockets. Some of my favorite ways to enjoy these naans? Soaking up the masala from this Chicken Karhai or with this sumptuous kebab masala. 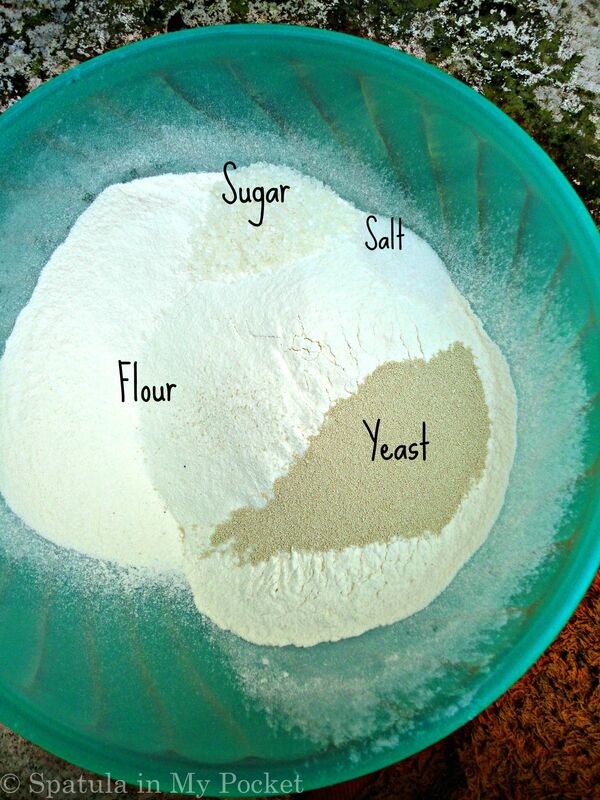 Place the yeast, lukewarm water and sugar in a bowl. Let it sits until foamy, around 10 minutes. Stir the dough using a wooden spoon. Then take out the dough from the bowl and start kneading it on a floured counter-top till it becomes smooth but still slightly sticky, about 10-15 minutes. Lightly grease the mixing bowl with oil, then place the dough ball back in the bowl and cover it with a kitchen towel or plastic clingfilm. Place in a warm location and let it rise for 1-2 hours or until the dough has nearly doubled in size. Once doubled in size, punch it down. Knead for a few more minute and then transfer it to a floured work surface. Cut the dough into 8 large or 16 small separate pieces. Roll each into a ball with your hands, then place on the floured surface and use a rolling pin to roll out the dough into a large circle) until the dough is a little less than 1/4-inch thick. THE DOUGH IS VERY STICKY so keep adding more flour while rolling. Heat a large non-stick pan or grill pan over medium-high heat. Drizzle a bit of butter or oil. Add a piece of the rolled-out dough to the pan and cook for 1 minute, or until the dough begins to bubble and the bottom turns lightly golden. Flip the naan and cook on the second side for 1-2 minutes, or until the bottom is golden. Brush naan lightly with the coriander-infused butter on both sides. Then transfer it to a separate plate, and cover with a towel. Repeat with remaining dough until all of the naan pieces are cooked. 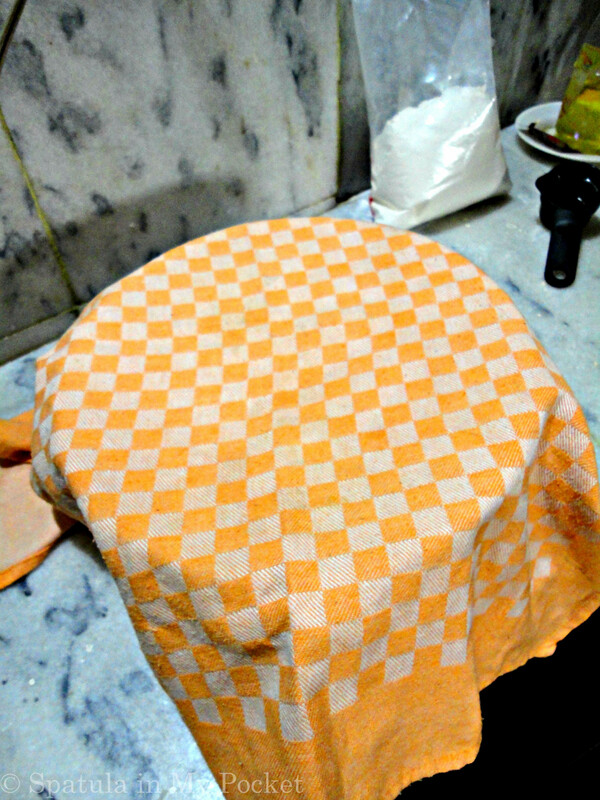 Keep the naans covered with the towel until ready to serve to prevent drying. Serve sprinkled with sesame seeds, if desired. 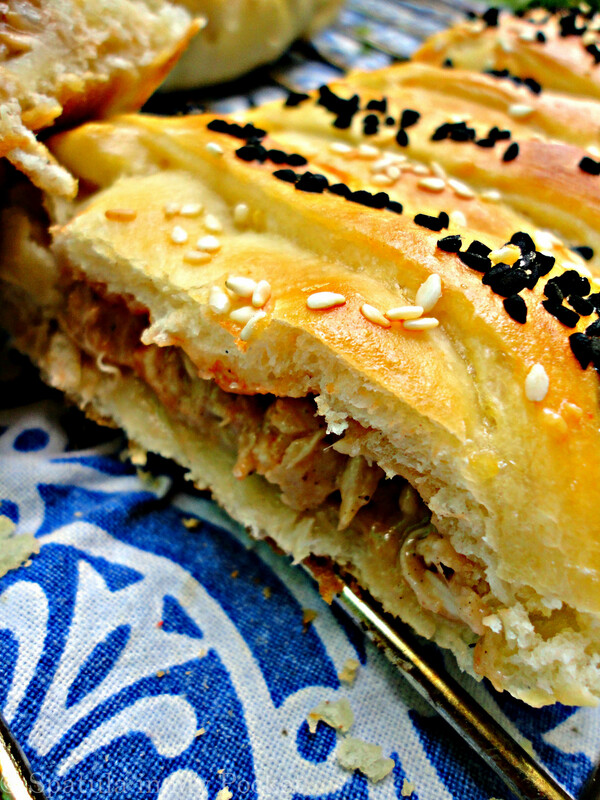 The recipe I am sharing today is a Family FAVORITE. All families have certain dishes they love to cook and eat. Mine goes gaga for these mini pizza pockets! Put 12 dozen in front of them and they’ll still demand more. This recipe is especially handy because it makes A LOT of mini pizzas pies (3 dozen to be exact). So they are the perfect, fuss-free party food. Easy to make, fun to eat. You can customize the vegs according to your own taste. Leave out the corn if it makes you gag. Add mushrooms instead, or even olives would be lovely. The recipe is super fun to make. Get your kids or siblings involved and make a kitchen party out of it like we did! I rolled out the dough, got my sisters to cut it out in circles, place them in the cupcake tray, and then fill em up. First the pizza sauce or chili garlic sauce, then comes the chicken filling, then the vegetables, all topped with shredded mozzarella. Bake till the dough is golden brown and the cheese is bubbly on top. Dip into a bowl of this sweet and sour imli chutney and I dare you to stop at one. If making for a party, you can prepare them beforehand, cover the cupcake tray with foil, and keep refrigerated till you’re ready to bake them. They take literally less than 20 minutes to cook. They also freeze well. Line the unbaked versions in a airtight container or a ziplock bag and freeze for upto 3 months. The day you need to use them, leave to thaw till the oven gets preheated and then bake as you would normally. You’ll be the Queen/King of the household after you make these… Or their pizza pie slave forever. Try the recipe and let me know how they turn out by sharing a picture on Instagram with this hashtag #spatulainmypocket! Prepare the dough and allow it to rise according to the instructions mentioned HERE. For the filling: In a pan melt the butter and add the onion. Fry till the onions become soft and transparent. Add the chicken, flour, salt, black pepper, and mustard powder. Mix till combined. Take the pan off the heat and add the milk. Turn on the heat again, at low to medium flame, and stir constantly with the help of a wooden spoon. Add the oregano leaves, ketchup, green chilies, and coriander. Allow to cool completely. Preheat oven to 200 degrees C and grease a cupcake tray lightly with cooking oil. On a floured counter top, roll out half the dough in a rectangle. Cut out circles using a round cookie cutter. Fix each round of dough in the cupcake tray. Add a dollop of pizza sauce in each, followed by a spoonful of the chicken filling, the vegetables. Top with cheese. Bake for 15-20 minutes till its golden brown. Repeat till all the dough and filling is used up. 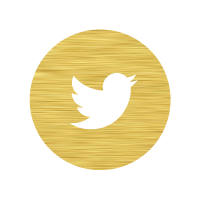 · Best served fresh out of the oven. Can be stored in an airtight container in the refrigerator. Warm in the microwave before serving. · You might end up with leftover dough. You can freeze it or use it to make pizza pockets filling them up with sausages and cheese. Spice up your morning with this savory twist on French toast! After a hiatus of almost a month. I have legit reasons I swear. First there were the horrid mid terms. Had to be the worst exams of my life. I forgot my pencil case at home TWICE. Had to buy all the stationary again TWICE. Had to use hard-earned money (by my dad) TWICE. On top of thaaat, I went to Karachi last week. Me and my Anxiety, approximately the size of Boston, went to attend my first ever MUN! Needless to say that it was my first and last MUN. This one experience of nerve-wracking moments, palpitations, curfews, sweltering sun, bed bugs, forlong dreams, Never Have I Evers, dramas, emotional outbursts, Jahidi Jones, and cruising; was more than enough to last me a lifetime. I didn’t have time to bake or even think about baking. Although an occasional daydream sneaked it’s way in (totally not my fault). One such daydream was about some hot hot cheesy French toast. Yup. You heard it. C.H.E.E.S.Y French Toast! I could never get tired of the good ole classic French toast but sometimes you just feel like jazzing things up a bit. Turn the classic sugary sweet French toast into the savory kind with the addition and substitution of only a handful of ingredients. Trust me this recipe is so easy, even kids can make it! It’s your basic French toast mix; bread, eggs and milk. Add in some chilli flakes, black pepper and salt. Mix in shredded cheese and whatever your vegetables or fillings your heart pleases. You can make it spicier or less. Add in oregano, rosemary, paprika; whatever you like. This recipe is so customizable and super fun to make. I’ve used a crusty loaf of French bread here, but you can use plain white bread as well. A day or two old bread holds its shape better, and yields overall better results. Preheat a grill pan or any non-stick pan. Drizzle some vegetable oil or butter. Place in a bowl all the ingredients except the bread slices. Whisk well. Dip each slice into the batter and place on the grill pan. Cook on medium heat, 2 minutes on each side or until golden brown. Add in sweet corn, mushrooms, olives, bell peppers, chicken etc. Customize this recipe however you like. 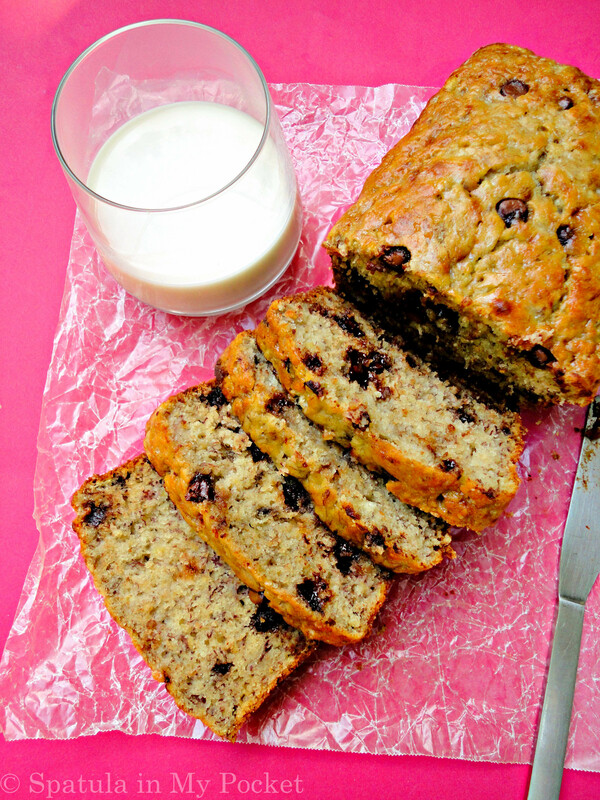 A spin on the classic – super moist banana bread studded with chocolate chips! I know, I know, I’ve been MIA this whole past week. What with the wedding and then college starting, and three very exciting new things happening that I can’t disclose right now, I barely had time to Instagram! And for all those who don’t know…I made my first ever Wedding Cake (nazar na lagay, like my mum says)! 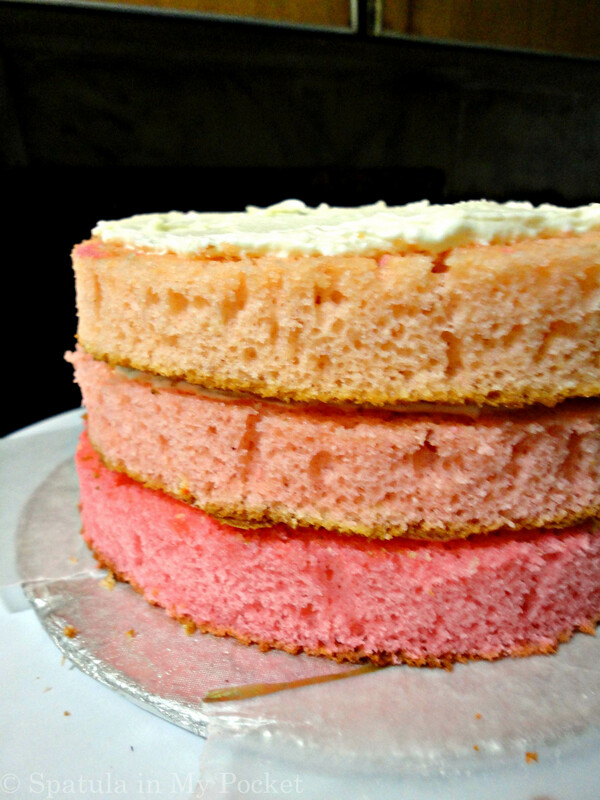 I tried to make it as pretty as a pinterest cake. It was one crazy cake that I had a crazy time making. Scouring the whole of Islamabad for a frickin’ (cursing is bad) 6 inch cake pan. Who bought all the pans?! Attempting ombré for the first time ever. Making do with droopy roses I got from the so-called fresh flower shops, and some stolen ones from the neighbor’s garden (stealing is bad). Aaaaanyway, it looked okay in the end, tasted good and (most importantly) the bride loved it.. So yay! But this post isn’t about cake (well, not all of it). It’s about this bread…oh this bread! Slice after slice of warm softness with pockets of melty chocolate. Together with a glass of cold milk or a cup of tea, it makes for the ultimate comfort food! 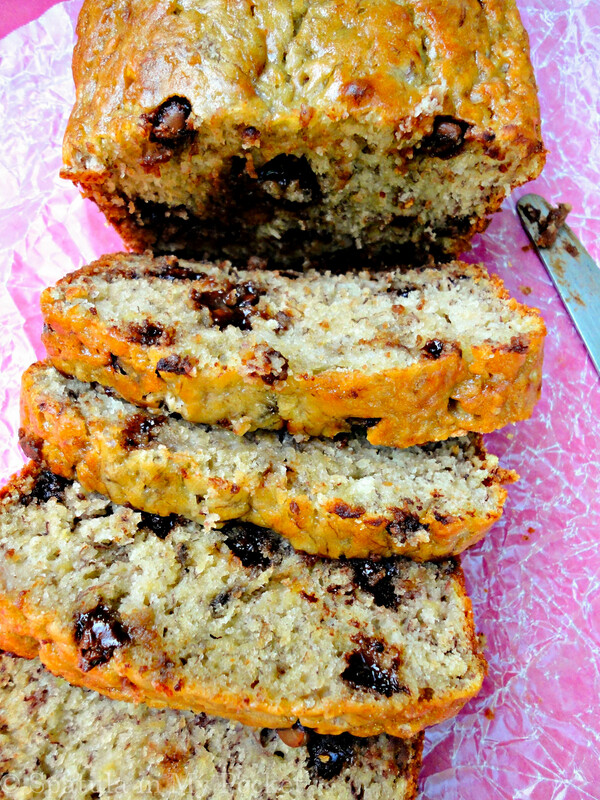 Banana and Chocolate – match made in food heaven! 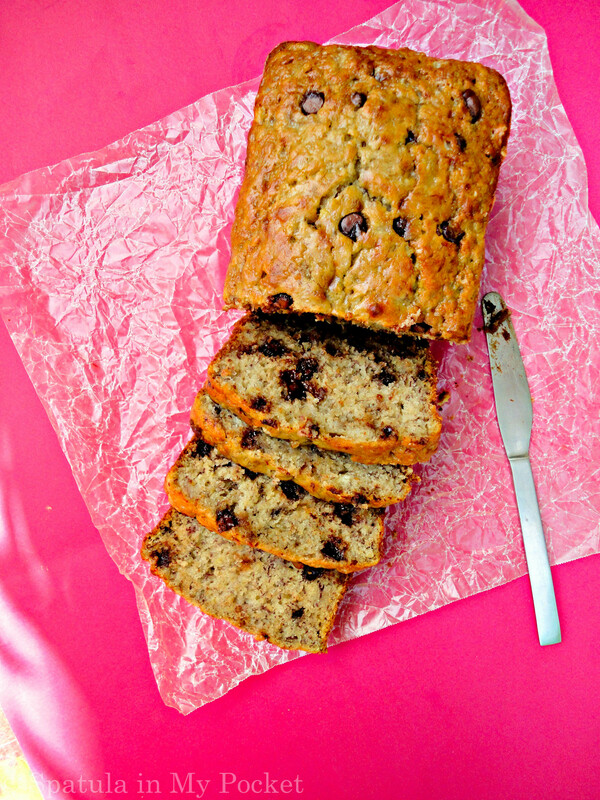 Be it banana chocolate chip muffins or banana chocolate chip pancakes or banana chocolate chip cake, it is always divine. For those of you who just went all ew at ‘banana’, trust me, you’ll love this! 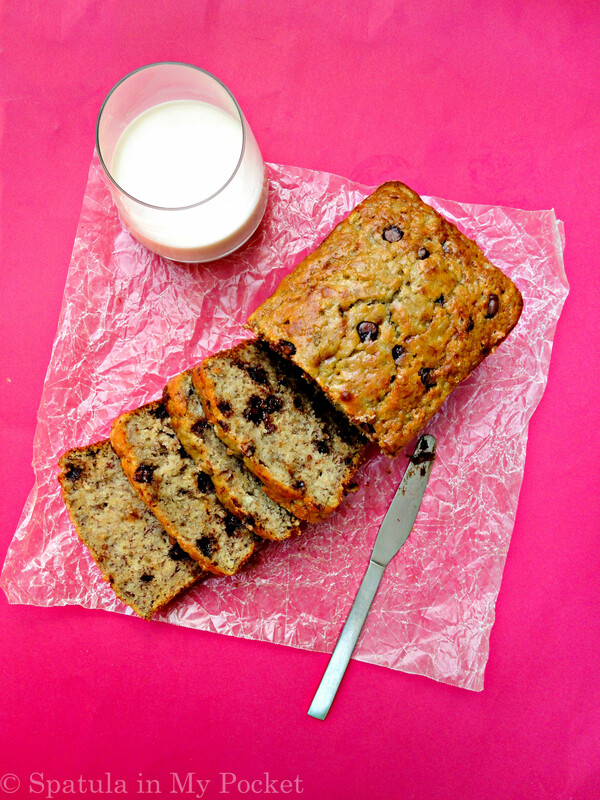 Even my sisters (who are strictly against nutritious food), went bananas over this bread. Below are few pointers to keep in mind before you make this recipe and get busy stuffing your face. *Bananas: the browner and moldier, the better. Seriously, if you have very ripe bananas lying around your home (that your mother bought in hopes of feeding you healthy), do not throw them out! They are precious! 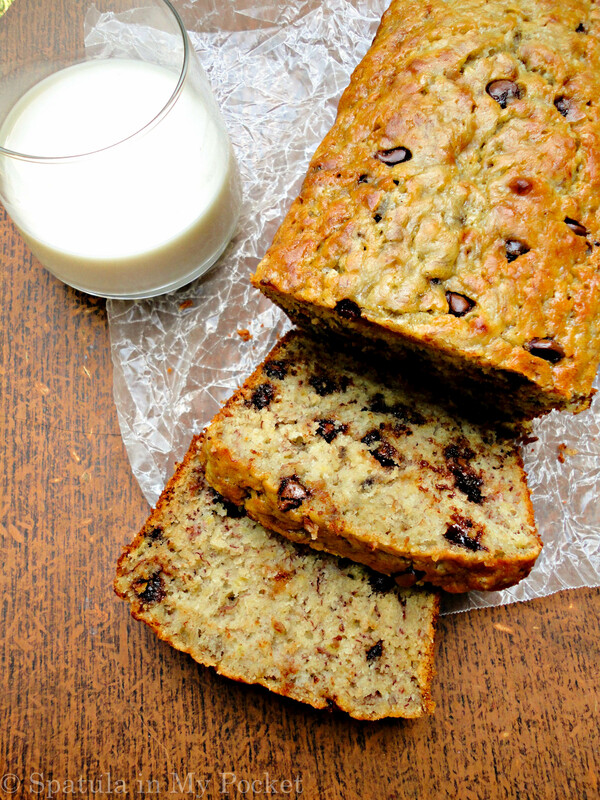 Precious to a good, moist, flavorful banana bread. *Yogurt: I always use and recommend Nestle unsweetened yogurt, but you can use whatever you like. Greek yogurt is originally used but we don’t have it commonly available in Pakistan. So, use any plain yogurt you can get your hands on. *Chocolate chips: I use Hershey’s semi-sweet chocolate chips. Bittersweet or even milk chocolate chips can be used. Grease and flour the sides and the bottom of a loaf pan. Set aside. In a bowl, whisk together; the flour, sugar, baking soda, and walnuts. In another bowl, mix together the mashed bananas, yogurt, eggs, cooled butter, and vanilla. Gently mix the banana mixture into the dry ingredient. Mix just till combined. Fold in the chocolate chips. Bake for 50-60 minutes or until a toothpick inserted into the center comes out clean, and the top is golden-brown. Leftovers can be stored in an airtight container for a week. Warm in the microwave before serving. 1. Use the ripest bananas you can get hold of. The riper the banana, the sweeter flavor it gives off. Mash bananas well. 2. Any unsweetened plain yogurt can be used. I always use and recommend Nestle unsweetened yogurt. 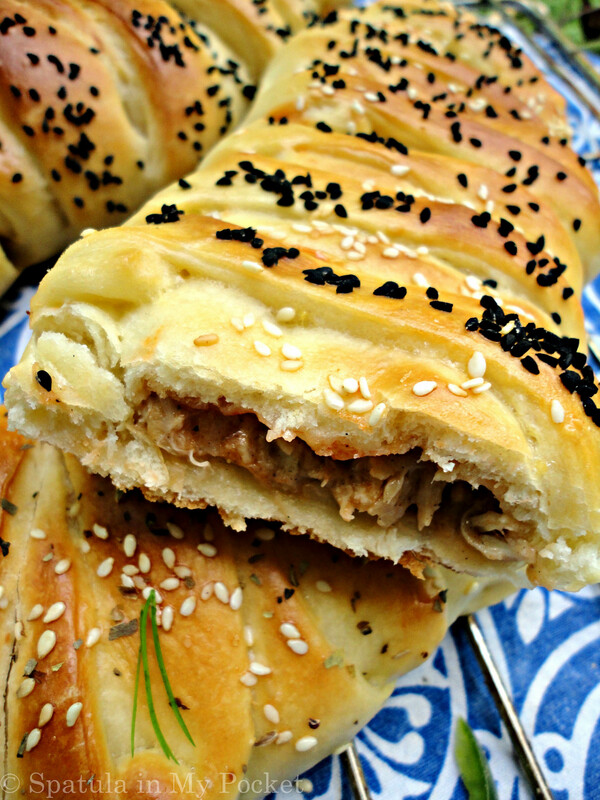 Chicken bread is a classic of Pakistani bakeries and you’ll be served it at most of the tea parties here. 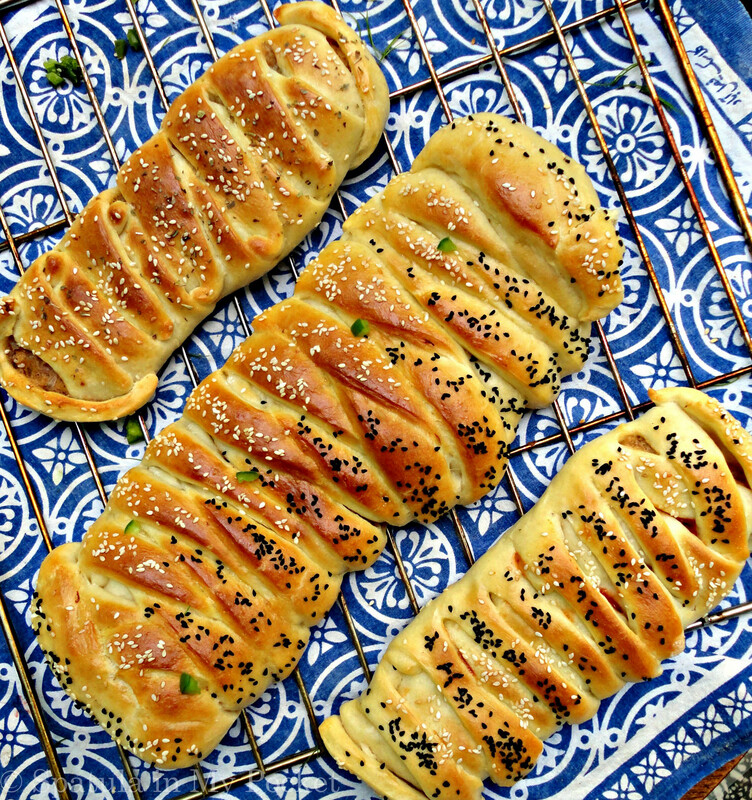 Although they look very fancy, with a little nifty hand work, these glistening golden loaves are braided in minutes. Even though I struggled with floury hands and a camera, I’ve tried to explain the braiding as clearly as I could with a few photos. Of course, finesse comes with practice. So don’t be disheartened if your first attempts are not perfectly symmetrical (mine go a bit wonky too), they’ll still be delicious! On a lightly floured counter, roll out dough into a rectangle. Place filling in the center, leaving at least space on the sides. 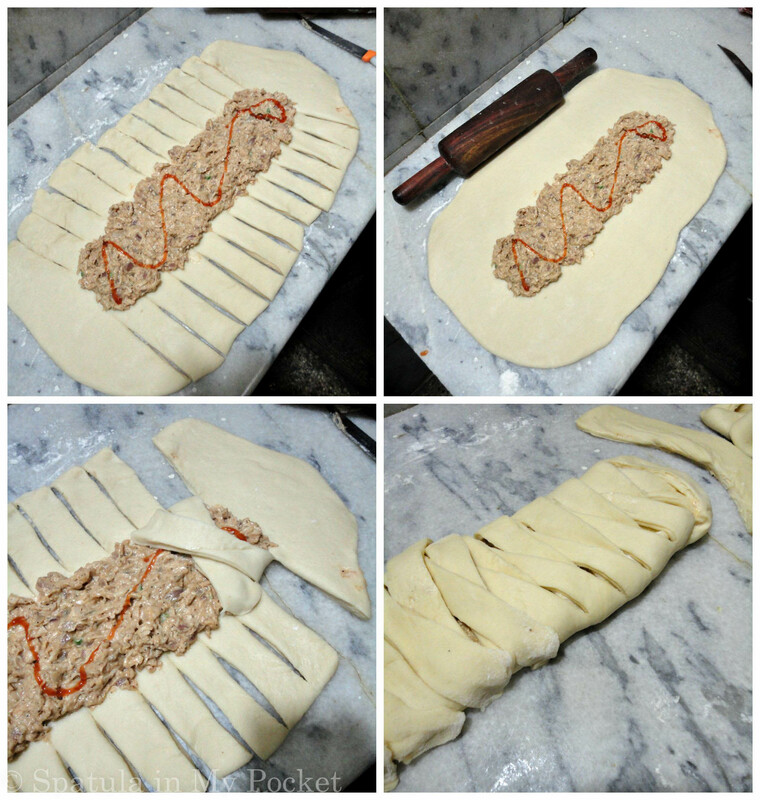 Make slits with the help of a sharp knife along both sides. Leave about 3 inches uncut at the top and the bottom. Bring the topmost slit ends across from each other alternately. Keep on crossing all of the strips in a crisscross fashion. Tuck in the space left at the top and bottom to keep the filling intact. Brush with egg wash. Sprinkle a few sesame seeds. And voila! It’s ready to go in the oven for 25 minutes. Serve hot bread with hot tea to the loving and deserving. For the filling: In a pan melt the butter and add the onion. Fry till the onions become soft and transparent. Add the flour, salt, black pepper, mustard powder, and the garam masala. Mix till combined. Take the pan off the heat and add the milk. Turn on the heat again, at low to medium flame, and stir constantly with the help of a wooden spoon. When the sauce starts thickening add the shredded chicken, ketchup, green chilies, and the coriander. Cook for just a minute more, and then allow to cool completely. 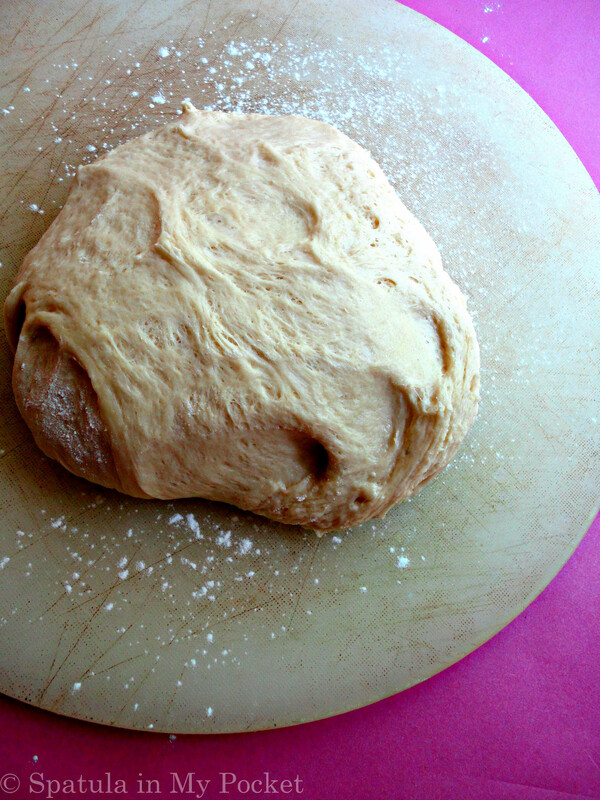 On a floured countertop, roll out half the dough in a rectangle. Place the prepared filling in the center. Cut slits across either long sides with the help of a sharp knife, leaving some space at the top and the bottom. Bring the topmost slit ends across from each other alternately. Keep on crossing all of the strips in a crisscross fashion. Tuck in the space left at the top and bottom to keep the filling intact. Brush with egg wash (the egg beaten up with the 1 teaspoon of water). Sprinkle a few sesame seeds on top. 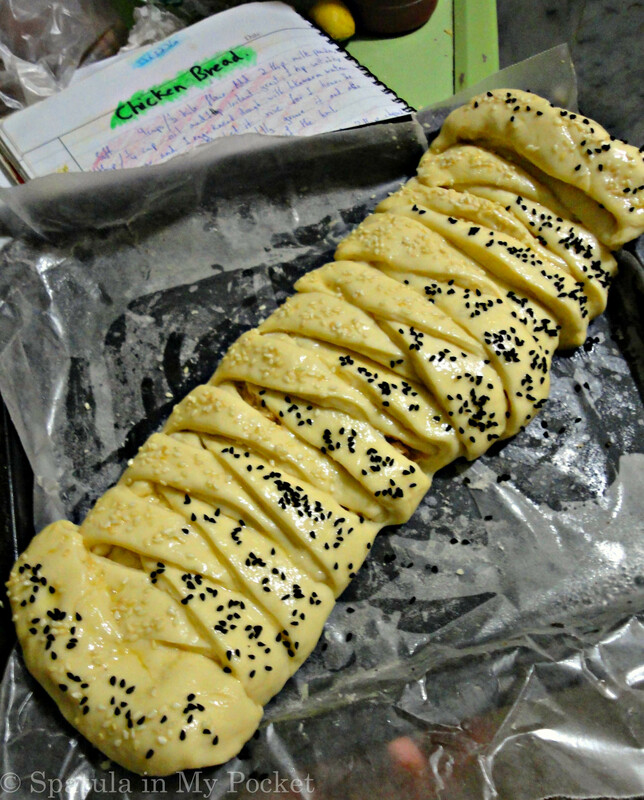 Bake for 25-30 minutes till its golden brown. *Best served fresh out of the oven. Can be stored in an airtight container in the refrigerator, warm in the microwave before serving. 1. Boil 2 chicken breasts in water, a few black peppercorns, and one cinnamon stick. Store the stock for later use. Homemade pizza dough; so simple, so delicious, with guaranteed perfect results every time! *Step-by-step photos at the BOTTOM. *Please excuse the bad quality of the pictures, light went out and I had to make do with that one tiny bulb in the kitchen. Here you go, as promised, my foolproof pizza dough which isn’t just for pizza. You can make anything out of it! These are only some of the things I’ve made using this dough (recipes on the blog soon), there are countless other options. It freezes well too. 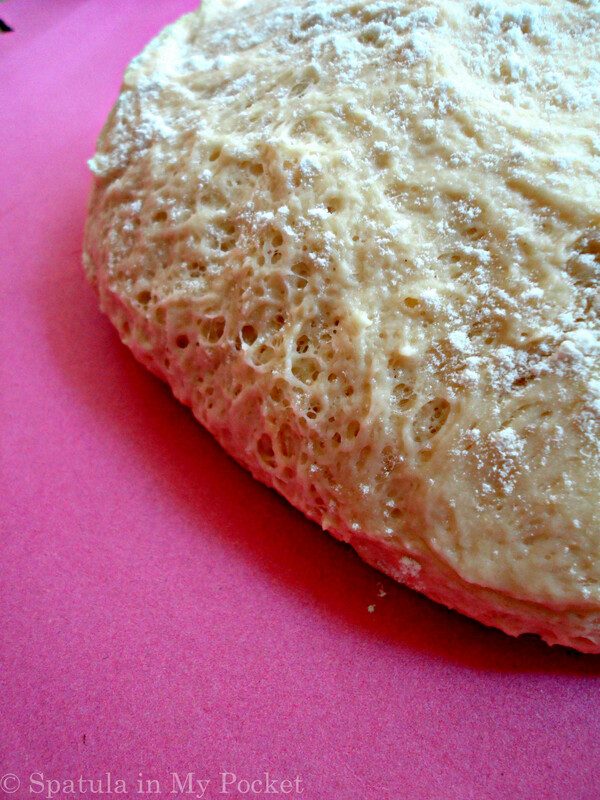 Before use let it thaw, and then use it in the same way as you would use freshly made dough. I first came across this recipe around five years back on a TV show, Masala Mornings, and since then I’ve made it a bazillion times, and it has never once let me down. It’s simple, tastes amazing, and rises perfectly every single time. It comes together in just minutes, is inexpensive, and it makes a ton; 2 large pizzas, or 2 large loaves of stuffed chicken bread, or 24 mini pizza pies! I gave you a sneak peek on Instagram a few days back of what I made out of one batch of this amazing dough. See my next post for a recipe of one of these freshly baked goods. You probably have all the ingredients on hand, try this for yourself now! 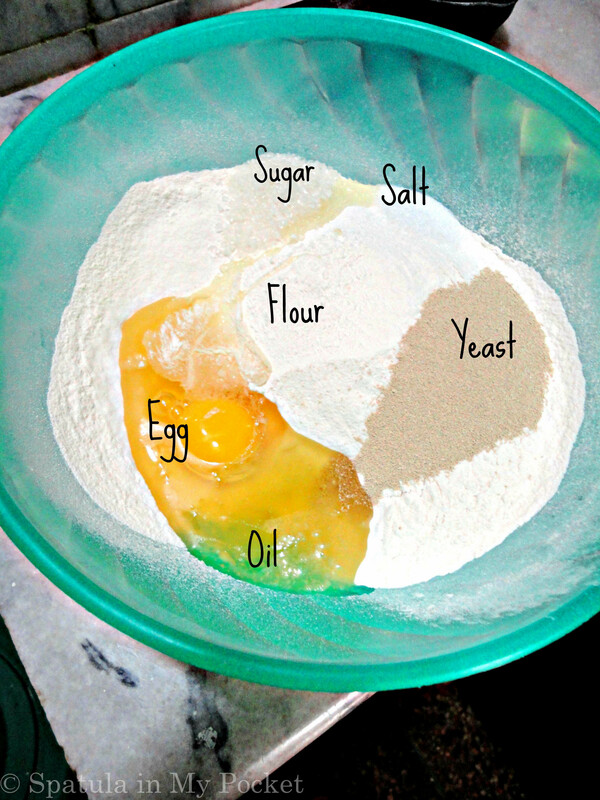 In a large mixing bowl combine the flour, yeast, sugar, salt, the egg, oil, and the milk. 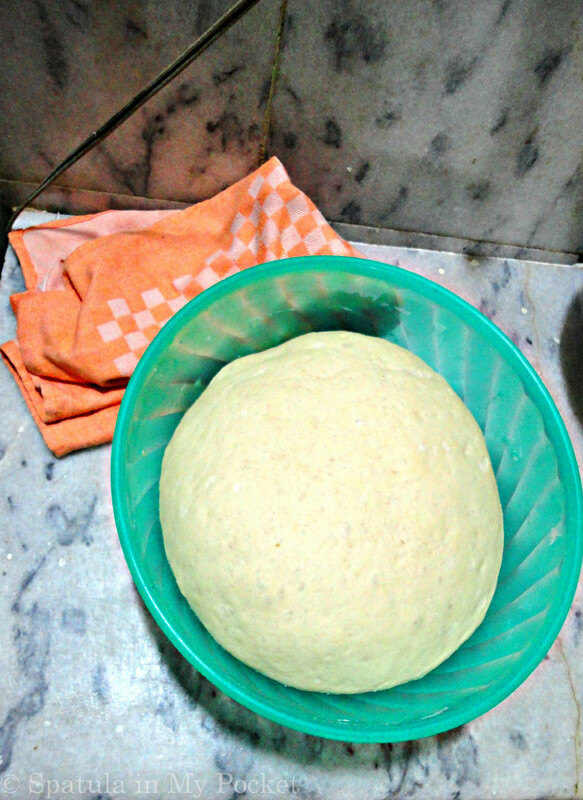 Slowly mix in the water with your hands till all the ingredients are mixed well and dough starts to form. Knead the dough for 5-7 minutes on a floured counter top till the dough becomes smooth and is no longer sticky. Add more flour if it is still sticky. Bang the dough on the counter top 7-8 times for elasticity. 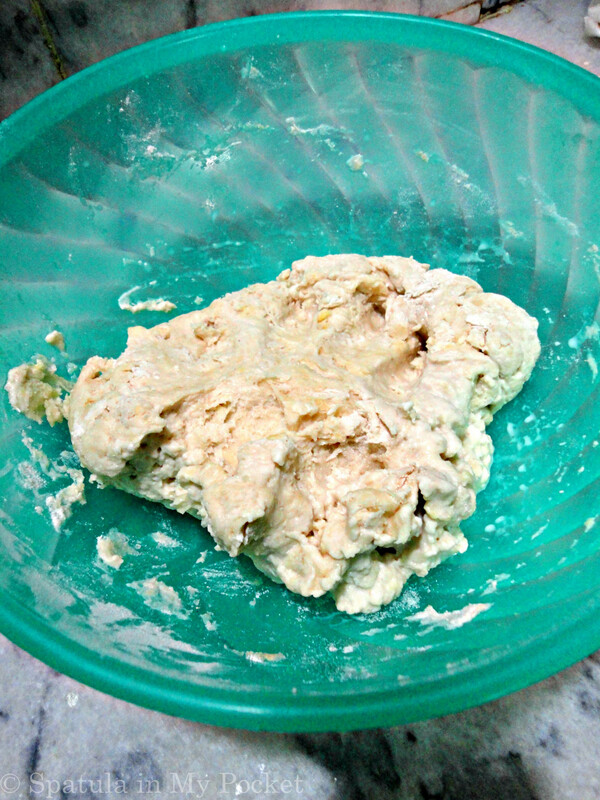 Shape the dough in a ball and place in a greased bowl. Brush the top lightly with some oil. 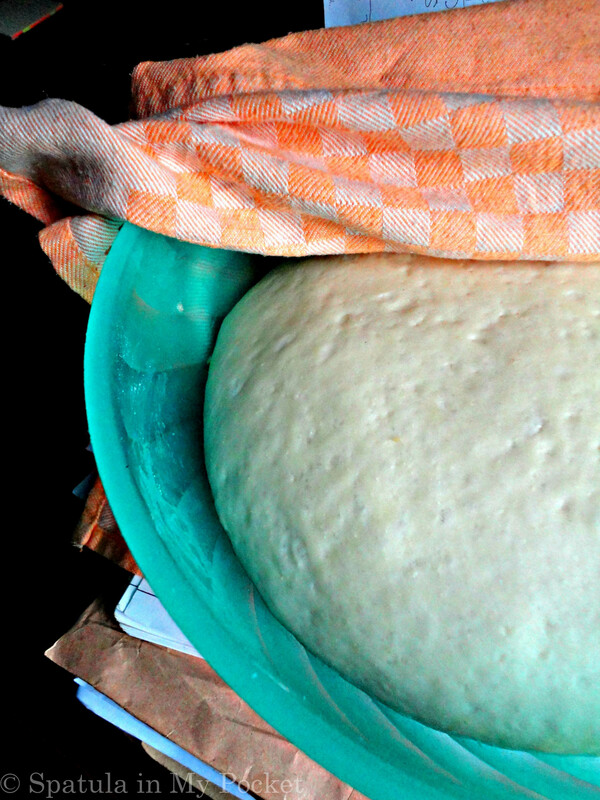 Cover with plastic or a kitchen cloth, and allow the dough to rise somewhere warm until doubled in size, around 2 hours. Punch the dough to release air. Use or freeze as required. Dough can also be made in a stand mixer with the dough hook attachment. Place all of your dry ingredients in one large bowl. Add in the egg, oil, and the milk. Now, slowly mix in the warm water. Water should be lukewarm NOT hot or else it’d kill the yeast. Mix together everything, either my hand or in your stand mixer with dough hook attached, till just combined. When it resembles something like that, it’s time to plop this sticky piece of not yet dough on a floured counter and it’s time to knead. Knead and sprinkle flour on the counter and the dough from time to time till it no longer sticks to your hands or the counter top. Knead for a good 5 minutes. 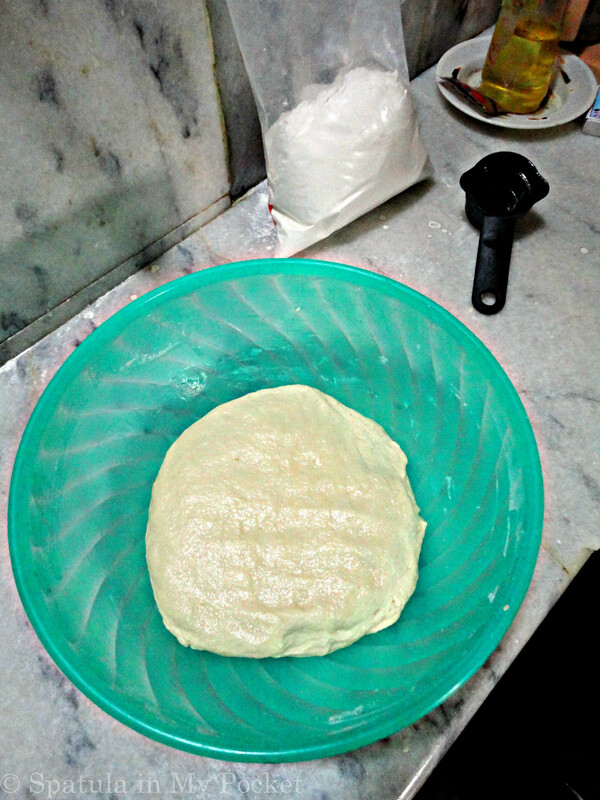 Tip: bang dough, on the counter top, hard for a good 7 to 8 times for elasticity. Then shape it into a ball, and place in a greased bowl. Flatten it a bit and lightly brush the top with some vegetable oil. Cover with a kitchen towel and let the dough rest somewhere warm, for me that’s my microwave turned off, till its doubled in size, around 1 ½ – 2 hours. And tada! Look how nicely it has poofed up. Look at how yeasty it is! Punch it down to release air, and it is now ready to be rolled out, customized and baked into something delicious!